RETAIL DESIGN EXPO 2017 ROUND UP! So that’s it! Retail Design Expo is over for another year. 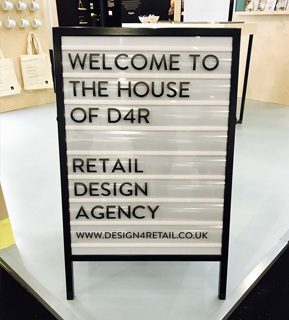 We had a great show and had some amazing compliments on this year’s stand, the House of D4R. The bones of our house combined pale plywood with pastel yellow metal work; creating a very on-trend structure. Video screens were incorporated into this structure and showcased our proudest work. Illuminated acrylic disks housed key imagery from a few of our projects which could be found further into the stand with postcards + a beautiful coffee table book. The most eye-catching feature was our neon-style ‘HELLO’ which was photographed by nearly every passer-by! This bright and impactful signage was everything we needed to stand out from the crowds and earn our impressive compliments. 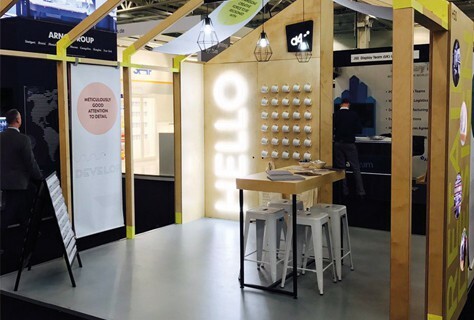 As well as introducing ourselves to new contacts and fantastic brands, we also took some time out to visit the great talks over the two days; a keen interest for our insights team. - If you design a retail space, you often conform to a pre-determined mandate of cash desks, products and staff. But retail stores are not just spaces to make money, they are part of the bigger jigsaw. They must be treated as content, a relationship between brand and customer which is tangible. - “Be naive before you’re an expert” – a key message that a panel promoted during the conference. And it’s something that really connected with; the idea that retail designers must look at existing stores, new locations and empty spaces with a naïve eye to allow creativity. - Technology is not the only avenue for retailers. And if technology is part of the retail strategy, ask just one question: what relationship does it help? If technology does not help relationships between brand + consumer or product + consumer, then it shouldn’t be a key focus. 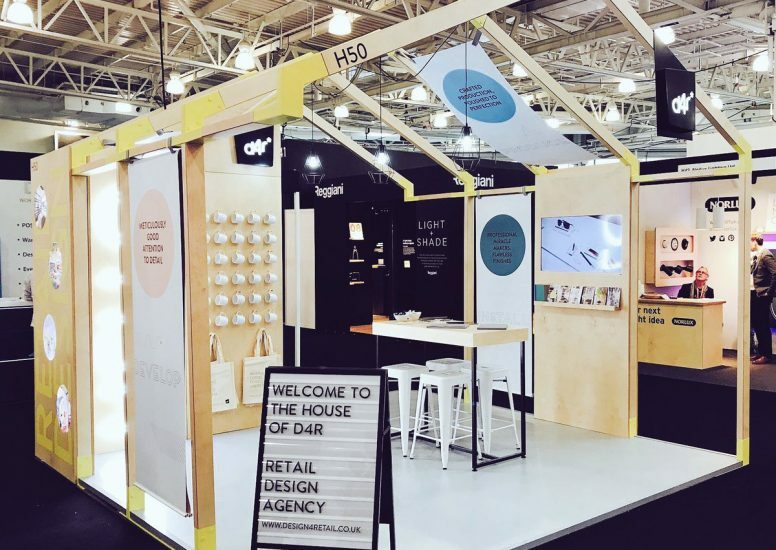 We’ve discussed this point in our previous blog posts, but it was great to have it confirmed at a prestigious retail design show! - People go into a space for a warmth and tactility. With this point in mind, sensory experiences are the untapped opportunity to really provide customers with an overly tactile in-store experience. - Every touch point with the customer must be a consistent expression of the brand. 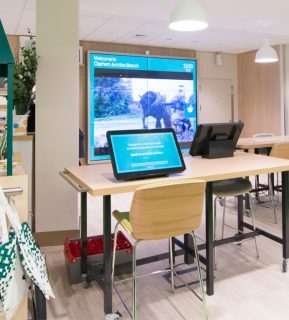 - The possibilities for emotional engagement are greater in-store. - Localism has become far more important, the retail space should incorporate location signifiers, as well as the identities of people living there. 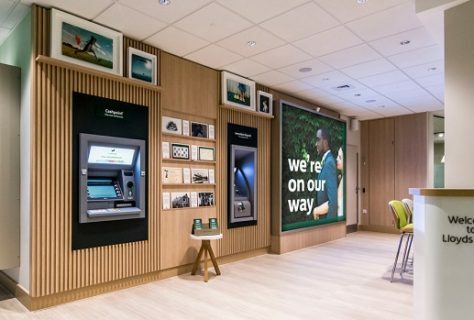 Finally, a shout-out has to be made to one of our favourite talks from Paula Rowntree, Head of Branch Formats + Design for Lloyds Bank. The discussion was regarding the brands ‘transformation of the retail experience’. 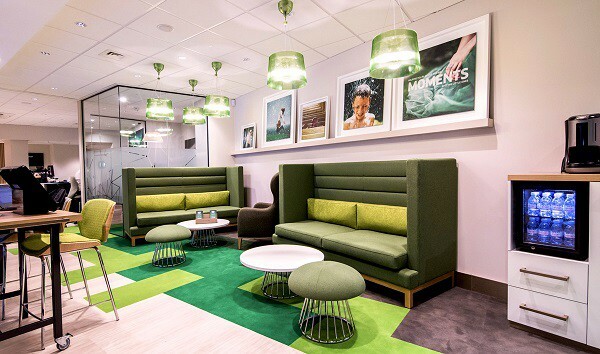 As research + insight becomes more important in all aspects of design, it was interesting to hear the thoughts behind a branch re-format which focused its attention on retail trends and customer needs. The talks we visited were fantastic and we thank the many agencies, companies and brands who did them! Until next year... we can’t wait! LDF – WHAT WE THOUGHT.